Hi Blogging Friends! I'm sorry I've been a bit out of touch. 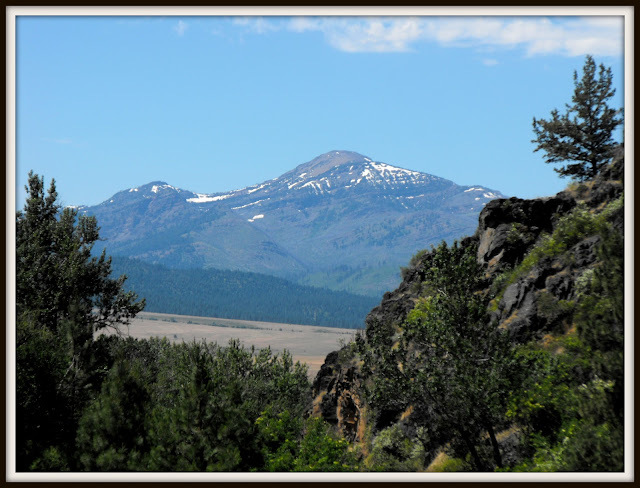 We've just returned from a nearly week-long adventure into the deep, depths of eastern Oregon to visit the Strawberry Mountain Wilderness. I have some scenic pics to share that I hope you'll enjoy. On the way out to Grant County, Oregon, we stopped by the famous 'Painted Hills' not far from the little town of John Day, Oregon. It was on my 'to visit' list in my home state. I was awestruck by the incredible colors of natures palette. Rich, rust reds, golden yellows, even purples all from mineral deposits in the earth. We continued on to our campground in the Strawberry Mountains as it was a 10 hour drive to get there, which we hoped to do before dark. The Strawberry Mountains are located in the NE corner of the state of Oregon. They are a part of the Blue Mountain chain. The eastern half of Oregon has a few larger cities, but is mainly rugged forest, ranch land and even desert. 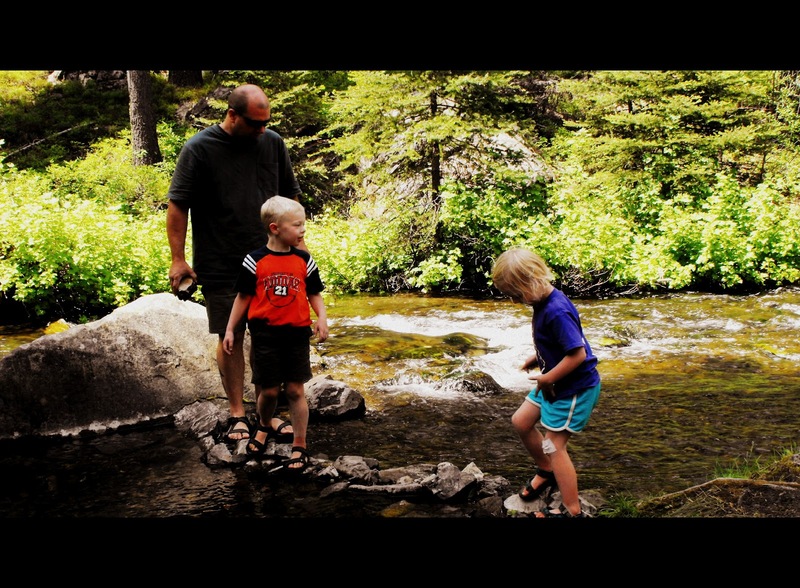 We traveled over 10 hours from home, pulling our little camping tent trailer to a camp ground called 'Big Creek'. 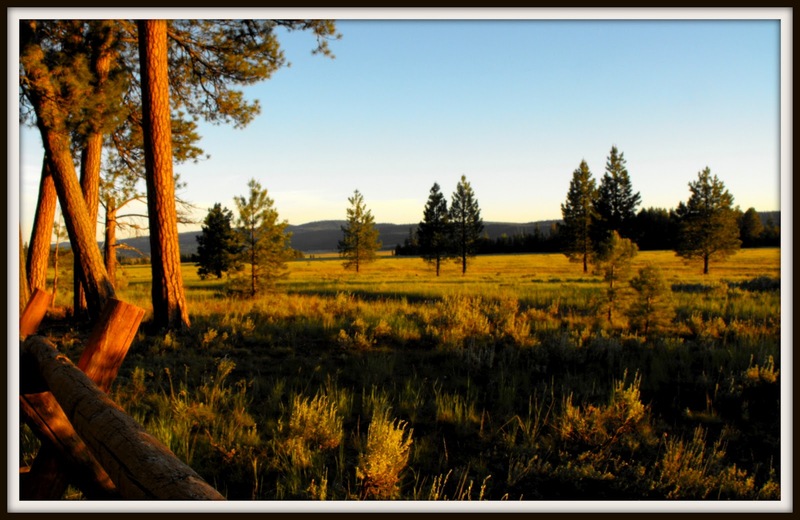 Upon arrival, I immediately felt a wave of immense satisfaction as I saw that the campground was situated in a grove of Ponderosa pine trees. Ponderosa pine trees are my favorite trees. 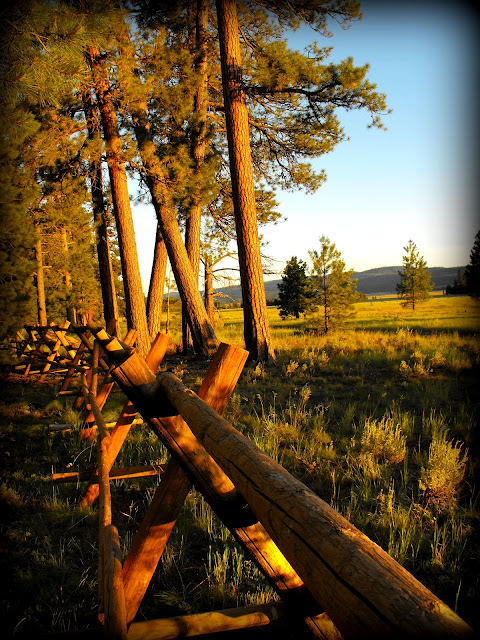 The campground is tucked just on the far side of a long valley called Logan Valley. This was the scene that greeted us when we arrived at sunset. During the course of our stay, I saw a herd of elk and antelope in the valley. One evening, a small thunderstorm provided some drama for the kiddos. I was in my element, studying my bird or wildflower books, seeking to identify species new to me. A view of the Strawberry Mountains from just above Prairie City, Oregon. We drove up the actual 'Strawberry Mountain', following the Strawberry creek to a campground, high up, which was also the trail head for those interested in climbing the peak. Strawberries, strawberries, strawberries. I know, why the name? I can attest that lovely, alpine strawberries grow up on Strawberry mountain. The mountain range also looks, a bit pink in color, dotted with trees that gives it a look of a strawberry. Here are some more facts about the area. We wanted a rustic vacation and we got one. It was wonderful to be free of technology for days! The kids made a few friends at the campground and they all rode their bikes like a herd of kid cattle around the dirt trails. Now I am back home and continuing to pound away at the work awaiting me: home remodeling, small business, veggie gardens and kid wrangling. What a wonderful, beautiful vacation you had. Your pictures tell the story. Thank you FL! Hugs Back! I'd love to have done that. I'm a country boy at heart, and I love the Great Outdoors, away from the hassle of the 21st Century urban environment. 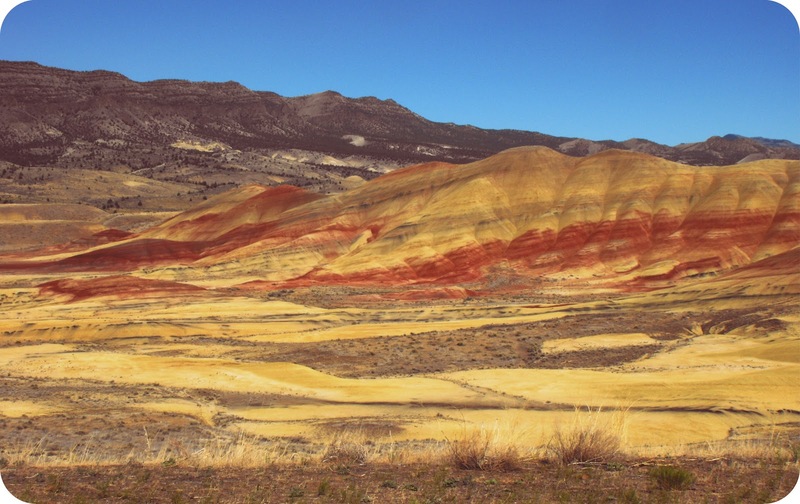 Just imagine what the first settlers thought when they encountered the Painted Hills! A woman of adventure. I love it. One of my sisters lives in Baker City and the other is moving to a ranch near John Day. I really want to make the trip over to see them and your photos sure made me smile. Beautiful country! Grace, you've got to make the trip. Although, it's a bit warm right now...lol. This looks like a beautiful vacation spot. I love it that the kids had fun riding their bikes all over...sounds like fun! I would love to have my vacation there. Nature and the great outdoors at your fingertips. Wow. Camping with family would be fun too. Sue, I caught that magic, golden hour of light right before sunset. It was amazing. Oh, what a gorgeous area to vacation! I have never been to this part of the country, so I am thrilled to see your pictures and hear about this beautiful area. Makes me want to vacation there, too. Just beautiful! Thanks HolleyG! I'm glad you enjoyed the post. Oregon is a great vacation destination, I'm lucky to live in such a beautiful and diverse state. Beautiful photos and scenery! Camping is one of the best holiday experiences; hope you all enjoyed it! My gosh it is alright that I am totally envious of your stay. WOW the scenery!